You can read more about our process of getting a cookbook publishing deal here and here. Thriving Home readers, we love you. We love your encouraging comments, your shared enthusiasm for good food, your appreciation for authenticity, and your loyalty to Thriving Home. We love that some of you have been with us since our beginning days, and we love that some of you have just joined the party. You are the ones who have kept us going for our 4 1/2 years of this “labor of love” blogging journey. That’s why we are so excited to tell you about the newest chapter that we are about to embark on. We are writing a cookbook! Our genuine hope is that this book will result in a positive lifestyle change for our readers, as they are inspired and equipped to make freezer cooking a way of life. From Freezer to Table will help families regularly enjoy healthy, delicious, stress-free meals together. It’s going to be fresh. It’s going to be modern. And we’re determined to make it a beautiful yet practical resource you’ll turn to again and again for many years! It all started here. With you. Our fabulous readers. So, we want to thank you. It’s your time to indulge, dear reader. Time to splurge on that something you’ve been wanting forever. We want you to win this! Because, well, we love you. We promise to take you along our journey as we embark on writing and publishing this book. Make sure you are following our Facebook page and Instagram accounts so you can catch all the behind the scenes action! 9. Our Pre-Order Push – Pre-order sales are a big deal in the publishing world. Here’s how we began that campaign. 10. Launch Week Giveaways – To encourage people to share about our book, we gave away big prizes all week long on the blog. Hey! Congrats! This is so exciting! I’m fairly new to your blog, but am currently enjoying all that you two put out! I am in the process of starting my own blog and you guys are some of my inspiration! I am a stay at home mom as well! I was wondering would you mind discussing how it came about that you are writing a cookbook. Who’s going to be publishing it? What’s the process? Thanks! Hi Kayla. 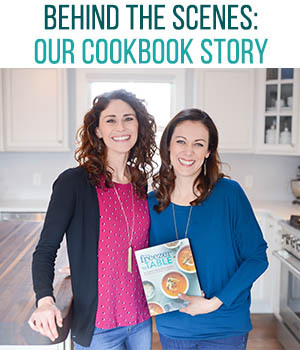 Stay tuned, because we plan to share more about how we got our cookbook deal! 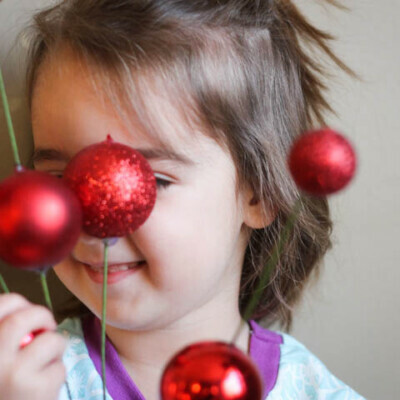 Also, you might consider signing up for our Thriving Bloggers Newsletter. 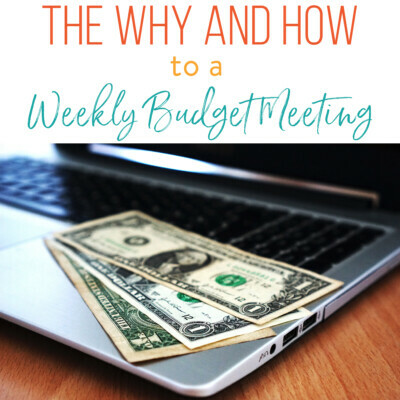 We share all about how to start a blog for profit. Check it out on our sidebar. I like basic cookbooks that give me a framework to launch my own ideas from. I love amazing pictures in cookbooks! They inspire me to create! I love cookbooks with a picture for every recipe. I also want recipes that use everyday ingredients that I already have in my pantry. Can’t wait to see yours! I started making freezer meals because of your recipies! I’m so excited to get the cookbook! I love cookbooks with family friendly recipes that can be easily adjusted for picky eaters! Great photos are always appreciated, too. Thanks for the giveaway! I am excited to check out your cookbook! What I look for when I purchase a cookbook (because I have to open it and look at some of the recipes) I want recipes that are practical and family friendly. I have a very picky daughter and would love to find something I can cook that she will like and it is nutritional. 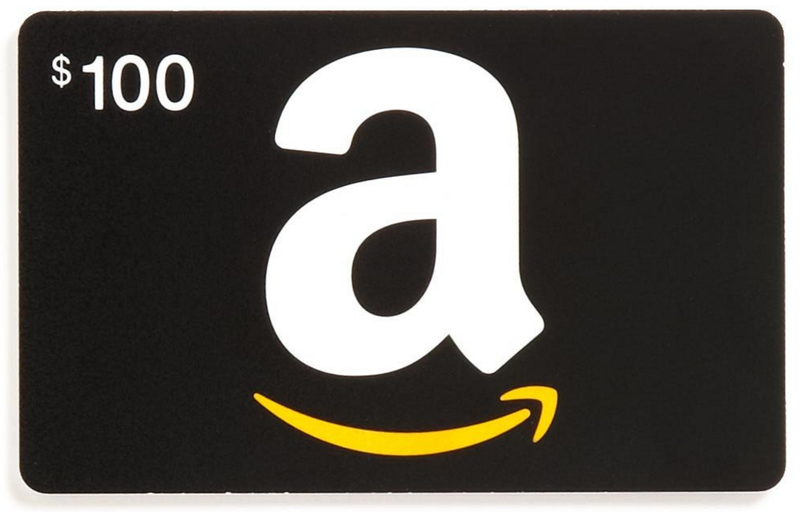 Thanks for the chance to win the $100 GC! I love cookbooks. The photos always do it in for me. Gorgeous mouthwatering photos will always make me jump to make a recipe. I love simple, healthy and fresh ingredients. A good cookbook has to have pictures. It helps so much to see what you are aiming for your meal or recipe to turn out like. Plus it helps inspire trying new things. So excited! Love cookbooks that contain great pictures and are full of recipes that are my “go to” family favorites! This is truly an exciting adventure! I am so happy for you. Our family loves cookbooks esp those that are made by individuals rather than big companies. We enjoy the love and attention that goes into them. What makes me want to buy a cookbook: Knowing that there will be lots of recipes that I’ll make. I actually don’t have many cookbooks. My favorite is probably my Better Homes and Gardens one because pretty much every classic is in there, so I know I can use it for a go to. I also like 100 Days of Real Food because there’s a variety of recipes and they are pretty simple. Yay! I love a cookbook with lots of pictures and easy to follow recipes. Can’t wait to see yours! I like cookbooks that feature a type of cooking I haven’t done before. The internet is great for recipes sometimes, but tried and true tested recipes you can get in a cookbook is even better to me. I love seeing cookbooks with good, quality pictures throughout the process of making said recipe. If that isn’t possible, I just really need clear instructions. I don’t like to “wing-it” when making something new so I want to know exactly how to get to the end product. Congrats! Thrilling! Can’t wait for the cookbook! Thank you! Oh wow, how exciting for you guys!! I will be buying for sure as well. Although I do love all the printed recipes I have from you, some stuck in other cookbooks, in my purse, in my car, on the table…having them in one place will spoil me! I am with everyone else in wanting pictures. I RARELY even read a recipe in a magazine or online if there is no picture. And the great substitutes for those of us who live in a town of 600 and don’t have the luxury of all the selections of the big city. Although I can’t think of a time when you have ever used something I couldn’t get. This will also be an amazing gift for my friends who are just as busy as me. Right now there is a particular company that throws freezer meal parties using all their seasonings, and it’s pretty expensive. I’m always telling people no because I follow your blog for free! I guess it’s about time you start charging for your knowledge. 🙂 Enjoy this incredible opportunity!! I love cookbooks. I can’t wait to see this one. Love the cookbook! I like kid-friendly and pictures in a cookbook mostly because my children love to cook with me! I read cookbooks like a book! I love them! Congrats!! So exciting! I love cookbooks with good pics of every recipe, and that lay open flat. And family friendly recipes! I like when there are simple ingredients that are not hard to find. Also something that can be put together in a short amount of time. Congrats on the cookbook. I have a slight cookbook obsession. I love them and every so often have to purge what I have to make room for more. I like a cookbook with great pictures to pull me in and make me want to try it. Pictures!!! Pictures at various steps going through a recipe and one of the final product. It lets the person following the recipe look and think “ok so it is suppouse to look like that right now!” Sometimes you hit a step in a recipe where if you dont know what your doing it could look like everything is going wrong…..when your actually just a few more steps to it looking like something completly different!! I like print cookbooks, and choose based on content that is unique and intriguing. I really enjoy cookbooks. Pictures are a must, with recipes that have uncomplicated ingredients and directions. Congrats on your cookbook! I enjoy cookbooks that use “normal” ingredients. I don’t like having to search high and low for something odd to cook with. Fancy stuff is nice, but I prefer realistic and affordable meals. The cost of living has risen a lot, but income hasn’t quite matched. I would love for my dollar to stretch more. I also prefer slowcooker meals, and stuff that I can easily freeze. I honestly don’t use cookbooks much because of the days of Pinterest. 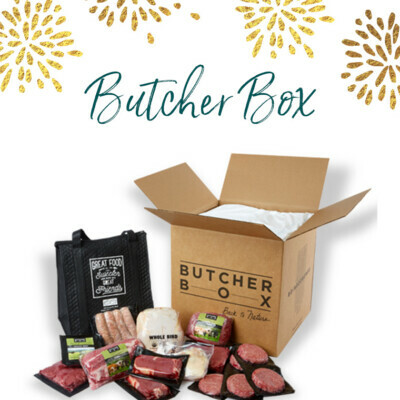 However, your cookbook is definitely something I would be interested in because I have a 10 month old and getting into freezer meals is something that would make my life easier. There’s so much on the internet about this topic that it would be nice to have a book about it with all of the information in one place. I would be interested in knowing what kinds of containers to use, recipes, how to organize meal prep and the actual freezer meals most efficiently. 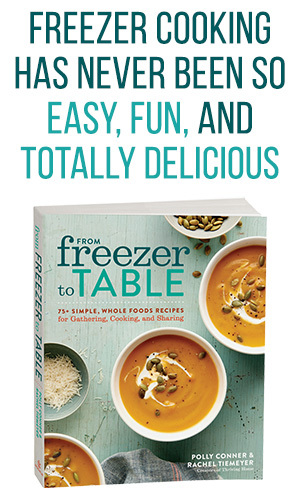 From Freezer to table sounds like a great cookbook that will make cooking fast and easy. I like cookbooks that use ingredients that are in my pantry and not some exotic or hard to find ingredients. Easy down home cooking is what I am all about. I like cookbooks that walk you through the process as if you’re standing together in a kitchen – all the extra commentary you’d get. Providing details or small tips for improving the overall outcome of the dish beyond the steps and ingredients. The best example of this technique to me is Mark Bittman in his How to Cook Everything series. Wow, congratulations! How exciting! I love cookbooks that have pictures of each recipe and recipes that don’t have mile-long ingredient lists. I love the pictures in cookbooks and real, simple ingredients. I would love to see a cookbook with all your homerun recipes from your freezer club. Pictures & prep time. Love your stuff! Thanks! Congratulations! I love cookbooks with pictures of what I am making. A book that lays flat, and wipes clean on the cover is great. The best part that I truly enjoy is the pictures of the recipe. They often inspire me to cook that specific recipe. The picture give you “a taste” of what to expect. Great! !I love cookbooks that don’t have a lot of rare ingredients, are healthy, and quick to make!! I love photography, so I really enjoy cookbooks with a lot of photos of the food! I love when a cookbook teaches me something about the ingredients called for in the recipes. I also like when the book shares more effective ways to cook. Pictures! I love cookbooks with pictures. I also like cookbooks that offer healthy recipes using natural ingredients and methods. I recently picked up a “Healthy/ Natural/ Organic…” cookbook for my kids and was shocked to see that it suggested microwaving ingredients in many of the recipes. That is not healthy or natural! Looking forward to seeing your cookbook! I love being able to hold a cookbook in my hands and sit on the couch looking through the pictures and recipes. Love to find good, family friendly recipes. What I look for in a cookbook is simple, easy, quick recipes. With 6 kids, I can’t manage anything fancy during this season of my life! 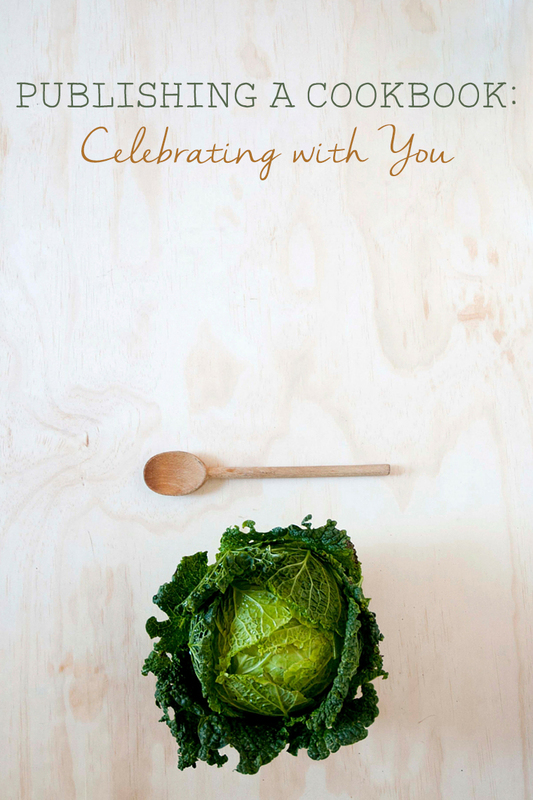 Looking forward to hearing more about your new cookbook and congratulations! Thanks so much for sponsoring this giveaway! Girls! I am so excited for you! So glad to see all your labor being publishes and able to be passed on for generations!!!! I will definitely be purchasing one am gifting this to friends and newly weds!!! I love cookbooks with good pictures of the food! And not that many ingredients. Basically, simple is my favorite! Excited to see what you guys create! I’m excited about this cookbook! Great job y’all! Wonderful! I can always use new ideas for dinnertime, especially freezer meals. This makes dinner so much easier on busy nights. Look forward to getting the book! Wow! Awesome news. I can’t wait to get one. Congrats guys! That is very exciting. I love cookbooks and “read” them for fun sometimes. I love a simple, easy-to-read format, pictures, ideas for additions or exchanges if you are missing an ingredient, one that stays open easily while cooking (like a spiral bound), explanations or information on the more rare ingredients (where to find them and why they are used, their nutritional value, etc). Can’t wait to see what you guys create! I love reading cookbooks! My friends make fun of me bc I had rather read a cookbook than any other kind of book. I like them to be spiral/ring bound bc it’s easier to turn the pages. I also like pictures of the food to go along with the recipe. Blessings on your endeavor! I do love finding awesome recipes on pinterest, but I really like holding a cookbook in my hands. Can’t wait for this one!! That’s so exciting! I love “real” (physical), cookbooks, even though I’ve said many times that I don’t need another. I enjoy the unlimited recipe resources of the internet (and may have just a few too many recipe boards on Pinterest), but when it comes to making a recipe, I find a hard copy to be the best and easiest to use. Features I look for in recipe books are easy to keep open, lots of nice photos, and easy/quick healthy recipes are my favorites. I love reading cookbooks! 😉 So does my mom. Oh this is so exciting!!! I absolutely adore cookbooks and have way too many. I love when they have easy meals my family will love and there is something great about ones with really wonderful pictures! I love cookbooks! I’m always intrigued by great photos and simple, quick recipes. I love real paper cook books, mostly because of the pictures and systematic layout 🙂 I appreciate clear, simple instructions too! I really really really like pictures in my cookbooks. Personal stories are also a fun touch! Congratulations! I love cookbooks with beautiful pictures of the recipes. Yay! I love cookbooks! They are pretty, full of possibilities, and make me feel like I MUST be doing a good job at this mom gig. Can’t wait to buy! Pictures are my main draw! Then I know which ones really look good enough to eat!! Good luck-very exciting! I am a cookbook-aholic. I look for cookbooks that have recipes that are healthy, quick, and easy. I like simple recipes that take everyday ingredients. I also like tips that help me with my cooking. Freezing homemade foods is new to me so I am looking forward to your book and all the helpful tips it will contain. I just discovered your blog and am loving it! Excited for you upcoming cookbook! I love cookbooks that have pictures showing various parts of the process, not just the end result. I also like cookbooks that utilize food that can be found anywhere, not specialty stores. I love your recipes and the fact that they are real…and family friendly! Can’t wait to get my hands on this cookbook; so exciting!! I am very visual so really do like lots of pictures and love basic recipes that can be made into a base for other recipes. Fabulous, I’m so glad to have an idea for what should be a great gift for friends! Ah thanks. We really do hope this will make a perfect gift for new moms and newly weds! I love cookbooks that have healthy recipes with a handful of ingredients as well as fresh, real foods! I don’t usually buy cookbooks that have lots of ingredients for one recipe. I agree with everyone -PICTURES are the best in cookbooks. They inspire and are fun to look through. I love cookbooks that have REAL ingredients, like ones normal people use 😉 Nothing that has to be special ordered. Everyday recipes, not just fancy company dinners. Recipes that kids will eat, some without a thousand vegetables. Side dish suggestions are awesome, or links to side dish recipes on another page. Suggestions for variations so I don’t have to make the same boring recipe 100 times. Freezer recipes that don’t come out all soggy and squishy. I really appreciate when they tell you how much time they take, and how many servings they make. I also appreciate simplicity, it’s annoying to use 7 different machines and pans for one meal and then have huge clean up after. I love freezer cooking and have been a part of a few freezer co-ops in MN and now in MT! I’m excited to see some new recipes!! Congrats on this new adventure!! I love cookbooks that allow us to cook from our pantry staples, love having a picture of the completed recipe and also being able to change the recipe easily, such as swap out proteins. These days, I tend to look for paleo, and/or gluten-free. My dietary needs are SOOOOOOOO limited that my favorites have easily modified recipes :). I collect cookbooks, lately I love all things about vegetables and how to incorporate more seasonal ones into menu planning. So exciting! I think the most important things in a cookbook are uniqueness yet simplicity of recipes and quality of food styling/photography. A huge bonus is when there are photos of each step in the cooking process! I love cookbooks! I’m excited for new recipes with fresh ingredients! I love cookbooks that give substitution or alternate ideas in the recipes. Either prep ideas (when to freeze, how to prep some ahead, etc) or ingredient ideas (sub frozen for fresh, alternate veg ideas, etc). The. It makes it easier to cook on the fly with what’s in the pantry or what’s in season! I love cookbooks that are easy to use, feel friendly, and have recipes that fit my family. I know that last point is very subjective, but your upcoming cookbook sounds like exactly what I’d like to make for my family! I’m also much more likely to buy a cookbook when it’s from someone I already know is a good resource :). This is so exciting. I am a cookbook lover. I can read them nearly cover to cover. Now that my kids are off to college, I need some new inspiration to keep me cooking healthy food for just myself. I can’t wait for my copy! I really enjoy looking through cookbooks but usually come to the end with only 3 or 4 recipes that I’ll actually try. I would love a cookbook that has recipes I’ll really use in everyday cooking, not just for special occasions. I also like when there are slight variations that take the recipe in a whole new direction. Congratulations! Can’t wait for this! Pictures are super helpful – especially if there is a “tricky” step or chef-like terminology (as I am not the most experienced cook). ALSO – I absolutely love the idea of a shopping list that can be transferred to an app or something. For instance – what if the cookbook came with an log-in code for downloadable shopping lists or you had a complementary app? I have started taking a pic of ingredients with my phone…but you still can’t “mark off” what you already have at the house. Some electronic version would be super helpful in shopping! All the best on this writing and publishing journey! Congrats on the new cookbook! Cant wait to see it! So exciting. I am a cookbook junkie so any time a person or group publishes one I have to have it. 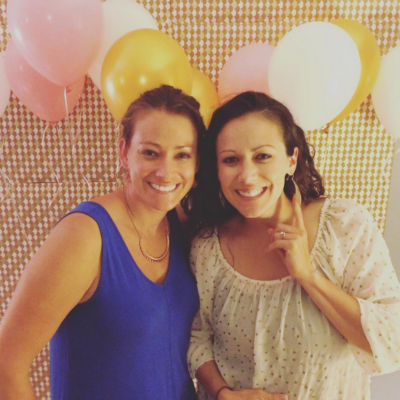 I cannot think of a better blog or two better women to get this opportunity! I’ve followed Thriving Home for over two years now and I’m excited to get your cookbook as soon as it comes out. Congratulations and blessings! I look over your recipes frequently for freezer meal ideas. I cook for my mother-in-law and stock her freezer with healthy options as often as I can. When I started this endeavor, I found your blog and have been a fan ever since. Congratulations on your cookbook and I look forward to getting the printed version when it is available! Congratulations-what fun news! I like books with easy to find recipes-so a good index. Good luck!! I love cookbooks! Always looking for new ones, no matter how many I have. I love pictures, reliable recipes for basics (barbecue sauce, rolls, etc.) and interesting recipes that are realistic for family life. What I look for in a cookbook is that it is spiral bound. I really like it to be able to lay flat when I’m trying to read the recipes. I am sure I have too many cookbooks already😅. I am excited to see what yours will have, love having real food ingredients. I also really love having simple ingredients that can be easily sourced. Thanks for the giveaway! I love looking at recipes and I love books so cookbooks are perfect. The cookbooks I have and use over the years are ones that are healthy and don’t take forever to make. I also love when they include substitutions for things like using different flours like oat or almond flours and how I would change the recipe to make those flours work. Fun! I like clear directions with pictures. Normal ingredients. Helpful tips. I am excited that it will be a freezer meal cook book. 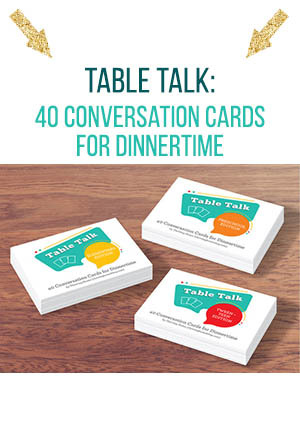 As a working mom, I set aside several Saturdays to cook all day long and fill up my freezer, so I look forward to this resource. I would like to see a section of cooking tips. What can I freeze? What should I not freeze? How long to items freeze? What ingredients are good to freeze and have on hand to make food prep faster? What are some meals that I can prep at the same time? For example: if I cook up five pounds of chicken, what meals would that accommodate? What are the best ways to store frozen food? Great questions and we plan to tackle most if not all of those! I like a cookbook that uses ingredients I have on hand and is easy to follow. Pictures always help too! I like cookbooks with pictures and easy directions and ingredients. Excited for this! This is exciting! I love cookbooks that include healthy ingredients, natural sweeteners and are easy to make for my family. Freezer friendly is a bonus too! I write in my cookbooks all the time, comments about changes I’ve made, whether we like or dislike the end product, etc… I would love to see a small area on each page designated for such comments. Oooooohhhhh, I can’t wait to see your cookbook! I’m so excited for this! I love your recipes and I’m in need of some good freezer recipes as we move into a very busy season of life! Great! I love photos with the recipes – it helps when I’m preparing the dishes. I like cookbooks that have sample meal plans in them that use recipes from the book. I like the recipes to be placed in Breakfast, Lunch, Dinner and Snack categories. Just the idea of having a gorgeous (well-designed attractive cover) of a cook book on my kitchen shelf makes me feel all kinds of giddy! Congratulations on your new venture. Wow! I’m SO excited for you guys! I love cookbooks! The ideas and pictures always inspire and motivate me to make something delicious for my family – especially when I don’t feel like cooking. I just flip through one of my favorite cookbooks and I’m almost immediately ready to cook. I love cookbooks with simple ingredients and pictures for each recipe. Excited for the section on freezing! I feel like this is always an oversite with meal prep and that thawing and cooking directions are often left out! Excited to see the final product. Good luck! Can’t wait to buy the cookbook! 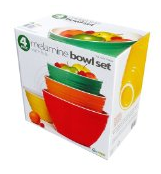 Thanks for keeping me and my family healthy with great fast healthy meals! Congrats gals! I can’t wait to see it! I love lots of colorful pictures that show off all the yummy goodness! I love cookbooks with pictures of the finished product and uses real whole (common) food ingredients. I like cookbooks that contain a lot of photos (preferably one for each recipe!) and cookbooks where the recipes are sectioned by category (breakfast, lunch, dinner – or salads, desserts, main dishes – etc). Congrats on your cookbook! Congratulations! I absolutely love real cookbooks instead of having recipes online. I use mine all the time! I love your recipes and am looking forward to having a real cookbook! I love a cookbook with a lot of pictures and one that lays flat, or even better will lean against the wall! Best of luck!! This is great! I love your recipes! I enjoy cook books with pictures. I also love it when there are options to make a recipe dairy free. Congrats!!! I just love freezer meals and am so excited it’s going to be in a hands on copy of recipes I already love (and maybe more)! This is soooo awesome! Congratulations and I can’t wait to buy it!! I love when cookbooks not only have pictures of the finished product but also some pictures of the “in-between” so that I know if I’ve made a mistake along the way/early on versus finding out I screwed up on step 2 once I’ve already completed step 8. I love sitting on the couch and looking through a good cookbook! I love trying new recipes, too! This is so exciting! Couldn’t be happier for you guys, LOVE your blog and I look forward to reading it all the time! I love cookbooks because I love finding new recipes, even though I can do this online (and often do) I love having that tangible item of a cookbook. I love cookbooks! Especially ones that are day-to-day useful and can help me be a more proactive and healthy cook. I appreciate recipes that have alternatives listed for less common ingredients as well as common food allergy substitutions. Estimated total cooking time is also very helpful. I’m so excited to have your cookbook. I’m always looking up recipes on your website! How wonderful! I can’t wait for the cookbook! How exciting! I love a cookbook with lots of beautiful pictures. I collect cookbooks and use recipes every week when I plan my meals. Reading your blog and night as I wind down is one of my favorite night time rituals. I love cookbooks!! I love cookbooks that have lots of delicious pictures. I like recipes that are not hugely difficult. If the recipes has too many steps, I am out! And if it includes too many weird items, yeah, I ‘m not going to make that either. This is awesome news for you all!!! Great news! Looking forward to seeing this. I love cookbooks that have lots of recipes that require the same ingredients so there is little to no waste!!! Congratulations! 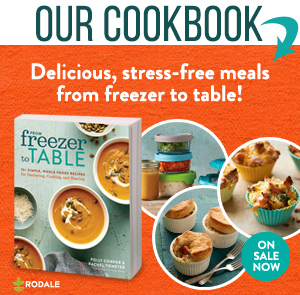 I have recently started a freezer meal group with some friends, and I’m excited to get my hands on a quality cookbook with tried-and-true recipes plus tips and tricks! I love a cookbook with bright pictures. Makes it easier to pick out a recipe. I buy cookbooks that have lots of pictures and I love cookbooks that keep it simple! That is what I love about my favorite! I love cookbooks that have simple and delicious recipes. Great job and Congratulations! Congratulations! This looks like it will be a great gift for new wives and mothers! I love when cookbooks have a “staples” section, or a section with simple, basic, money-saving recipes that the other recipes use. For example, it could include instructions for homemade broth, yogurt, taco meat, beans, etc. I also enjoy a book that lays nice and flat and isn’t so huge that it takes up most of my workspace. I tend to buy cookbooks with great pictures and recipes that use ingredients that I usually have on hand. I like simple, easy recipes with “normal” ingredients. Sometimes I prefer using cookbooks to blogs, Pinterest, etc because it’s easier to follow a recipe when its sitting right in front of me instead of running to the computer or reading it on my phone. I would love to try your new cookbook. Congratulations! When buying a cookbook, I look for healthy and easy recipes. Wonderful! What I really like about cookbooks is the combination of pretty outcome pictures, practical yet healthy ingredients, and of course simplicity for families. I also appreciate conversion and substitue charts for fresh vs dried ingredients . For example 3 sprigs of thyme equal 3/4 t of dried thyme or substituting maple syrup for vanilla extract if you ran out (ran into this problem). So excited to see you newest success, congrats! I like cookbooks that have a good index so I can find the recipe I want or to use an ingredient I have. Also I like them the recipes to use real food, simple to prepare and of course delicious. One of the things that I like about a cookbook is a picture of dish. Can’t wait to see your new cookbook! I love cookbooks. Congrats, I will look forward to it coming out. How exciting!!! Congratulations!! I can’t wait for your cookbook!! Congratulations! I like cookbooks, Period! Enjoy the journey! Your cookbook sounds wonderful! I like cookbooks that contain healthful recipes that taste great, don’t contain lots of unusual ingredients, and aren’t super complicated and time-consuming. Tips for making ahead, doubling/tripling, using leftover ingredients are also great. Some cookbooks don’t appeal to me because the font is too small to read comfortably and there are no pictures of recipes included…the more pictures, the better! Thanks for the fantastic giveaway! Yay I am so excited and want the cookbook already. I am not creative in the kitchen so I love a good cook book to help me feed my family. Pictures are a bonus too 🙂 Thank you for all you do, the posts you post and giving me an email I look forward to getting every week!! Congratulations!! Can’t wait to see it. Two things I look for when browsing cookbooks are the pictures and short ingredient lists! I want something easy that I can make for my family and the pictures really help me visualize if I think they’ll eat/enjoy the recipe. Congrats to you!! This is fantastic!!! I am so excited to ditch all my laminated recipes from your blog and just have a beautiful book full of your recipes!! Yay! I’m so excited for you guys! And excited for seeing the finished product. I love cookbooks that lay open flat so I don’t have to lay stuff on corners of it to hold it open for me. It’s a real pain if my hands are dirty to need to wash them to open the book and see next step ☺. Pictures are always nice and an easy to use index. I can’t wait for your cookbook to arrive… I just love easy, healthy recipes. Congratulations on your success! I can’t wait to buy one of these cookbooks! Congratulations on the up coming Cookbook. I love cookbooks!!! I like ones that have simple everyday ingredients and ones that can be done quickly. The idea of freezer to table is awesome. Any chance to create a special online access to the cookbook recipes so that it’s easier to integrate with meal planning apps like Paprika? Congrats! I love getting new ideas and techniques from cookbooks. I especially appreciate a cookbook that has very clear step by step instructions with LOTS of pictures. I love cookbooks that have ingredients that I actually have on hand, not some weird ingredient I have never heard of. I also love pictures of the finished product! Good for you! Can’t wait to read it! I like cookbooks with good pictures, easy ingredients, large enough print, suggestions for substitutions, and which lay flat! I love pictures and commentary about the recipes in cookbooks. I value simplicity and clarity in cookbooks, as well as variations (a list of options for changing things up) and feedback/tips from real people. That’s why I like our All Recipes cookbook so much. This is so exciting and encouraging!! And I have the same question about the cover. I might have to get a book holder and display it on my counter. Literally cannot wait! This is awesome. Also super great for college students who want to actually cook real food for meals but don’t have time to do so on the daily. This is so exciting! Maybe your cookbook will help me finally become a consistent cook! : ) Congrats, friends! Congratulations on the cookbook. Anything to help my family eat healthy. What a wonderful new adventure! The title sounds exactly like what I need in my life! My favorite thing about cookbooks are pictures…chances are more likely that I’ll try the recipe if the picture looks good! Congrats! I love cookbooks that have recipes that my kids would like to eat as well and that have ingredients that are easy to find and are commonly used in multiple recipes. I hate having to buy one ingredient that I will never use again except for one recipe. Very exciting!! I buy cookbooks with simple ingredients, good pictures, and easy to follow directions. So excited for this cookbook! I’m constantly looking for good, clean freezer meal recipes! Congrats!! so exciting! 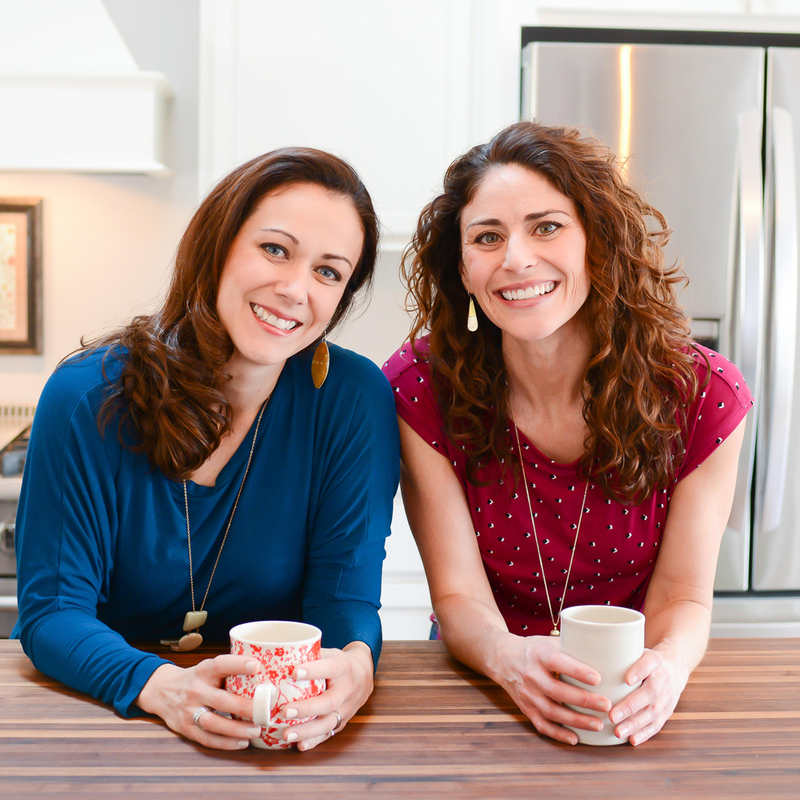 Cannot wait to have more great recipes from the Thriving Home gals! Teach me how to efficiently grocery shop for multiple meals! I drag twin babies back and forth to the grocery at least three times a week! Help! Also I love you guys and your recipes! I like when cook books offer suggestions To modify items – substitutions for marjoram or length of time changes it ground turkey compared to ground beef. Smitten Kitchen’s cook book was a treat to read but not a well used one. One pot glorious meals was a really useful format for cookbook. Congrats! Cookbook: a space for notes in the margin! Can’t wait for your cookbook!! Easy and realistic recipes!!! I agree with the other ladies that pictures are always an added bonus!! Great News! I am excited to see what you create. Thanks for all you do! So exciting!! I love cookbooks that use real, common foods that I can find at my local HyVee. Nothing makes me sadder than finding a perfect recipe but failing to locate an ingredient! This is awesome! I really like when cookbooks include pictures. It makes for a nice visual of what it “should” look like. Is that the front cover?!?! I love it already!!! I love real cooking cookbooks. Nothing super fancy. I also like the cover to have a farmhouse photo. Then again I am a sucker for those cookbooks that churches and schools sell as fundraisers. Your cook book will be AWESOME! What I love about cook books are the pictures; I want to know if it looks like it’s supposed to. Haha. Have fun with the book, ladies! Thanks for continuing to be an inspiration to me as Christians, wives and mothers. Oh how exciting! I can’t wait to get my hands on one! I love cookbooks with pictures of the finished product! And ones that can lay flat and open! Good luck ladies! Such exciting news! I love getting my weekly newsletters with recent updates and meal plans but a cookbook is even better! Since I started following your blog I have enjoyed pre-prepared meals for my family and friends. Some friends even purchase my meals for a busy weeknight! Your blog and freezer meals have made my life MUCH easier. Love the cookbook for pictures and sharing with others! Best of Luckandkeep up the hard work Ladies!